Okay, it has definitely been way too long since I have done any blog posts! It is so difficult to keep up with everything but I’m doing my very best! I’ve really been focusing on my new Etsy shop lately, however, I really enjoy the blog so I want to keep it up to date as best I can! As I have mentioned previously, I am probably going to be going crazy with making all different kinds of homemade gummy bears and fruit snacks since it was such a hit with my son! Such a perfect snack and a much healthier alternative to store bought. 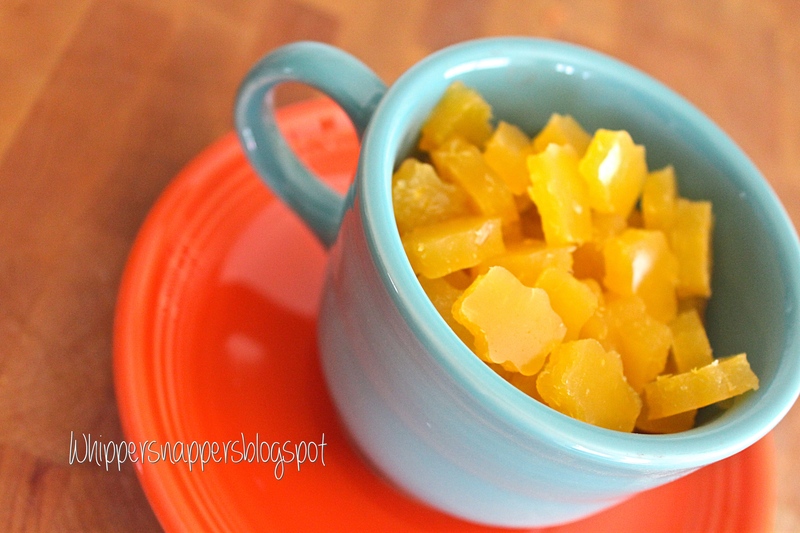 These orange gummy bears are exactly as it sounds, full of orange goodness! I thought they tasted great and so did my son! Peel and slice the orange and blend well in the blender. No need to add any liquid since there is already enough liquid in it to puree it well. Measure out 1/2 cup of the puree and set aside. Heat juice along with gelatin in a small saucepan for about 5 minutes while stirring. Do not bring to a boil. Add juice mixture to the puree slowly while stirring. Add 1 Tbsp honey and stir it in well. You could add any other add ins you would like as well such as chia seeds for example! Poor into a pan wide enough so that the gelatin mixture is fairly thin. An 8×8 pan works well. Let mixture set in the refrigerator for at least 15 minutes. 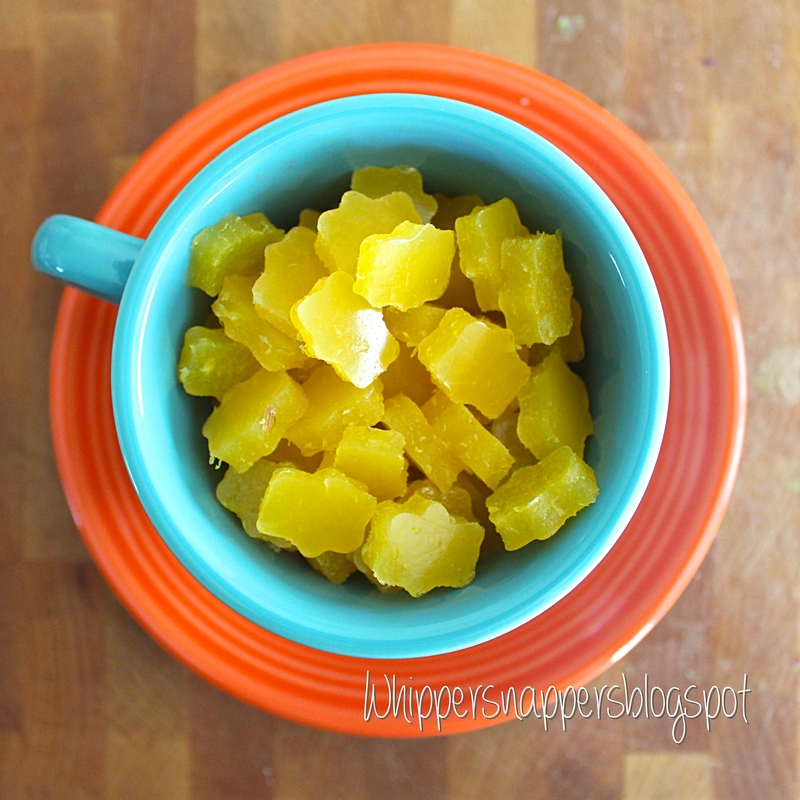 Cut into gummy bear shapes or any other small cookie cutter shapes you want! That’s it! Quick and easy. Best of all, this recipe just uses honey for a sweetener to make it that much more healthier for those little tummies! Remember not to give honey to babies under one year old.